I hit some Cmd + ? shortcut while previewing a file and now I have a problem. 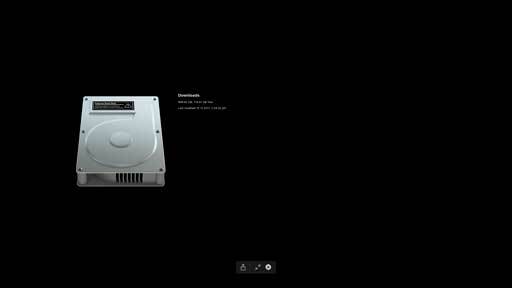 Whenever Finder has focus, it goes straight into this full-screen mode. To put it another way: normally in Finder, if you hit the spacebar, a small window pops up with a quick view of the file. Hit the spacebaragain and it disappears. I currently have the situation that the "quick view of the file,"
occurs just by single clicking a file, single clicking the desktop, clicking on Finder in the Dock, or any other action where any other application doesnt have focus. No need to press the spacebar. While in this full-screen-preview mode, Cmd + Tab does nothing. Esc does nothing. spacebar does nothing. However, the arrow keys can still navigate around and change the focus of the "quick view." The only way to deactivate the quick view is to click on another application on another monitor. If I didnt have a second monitor, I dont even think I would be able to use the computer. This makes the computer completely unusable. How do I permanently disable this immediate full-screen quick view? I'm assuming you've rebooted & this hasn't fixed it? I've never seen fullscreen Quicklook get stuck like this before, but I have seen regular Quicklook get stuck, usually if Quicklooking an attachment in Mail, then forgetting & switching to another app/Space. The fix is usually to get back to Mail, reselect the original item & click the close X top left; as none of the regular methods will work at that point. All I can imagine is you've got stuck in a similar situation, but in fullscreen Quicklook. This will vanish if you don't move the mouse, then reappear if you do. Esc will also revert to windowed. 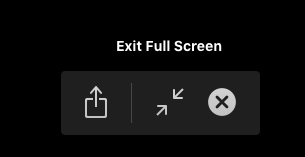 Quit all apps using fullscreen or spread over more than one Space. I'd be tempted to have only a single windowed app running, in Space 1, with only one window open. Shut down, unplug all except your primary screen. This will force all Spaces to that monitor & I think will then let you out, simply using Esc, or the floating controls. Not the answer you're looking for? Browse other questions tagged finder fullscreen quicklook . How can I disable media playback in Finder document icons? 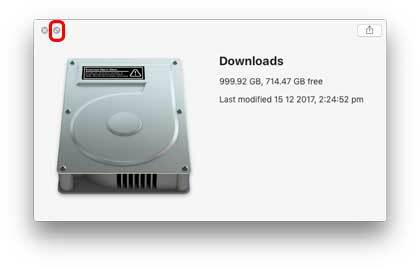 How to easily clean up photo folder using Finder?